Here's another treat from the folks that created the OBP, which I reviewed in September. Whereas pilsners aren't usually my cup of tea, I could drink porters all day long and this is no exception. The aroma on this one is rich and malty and it drinks more smoothly than most porters I've had. The slight sweetness of coconut becomes more present as it builds up on my palate while I drink this beer, but never threatens to overwhelm the delicious flavor of this beer. 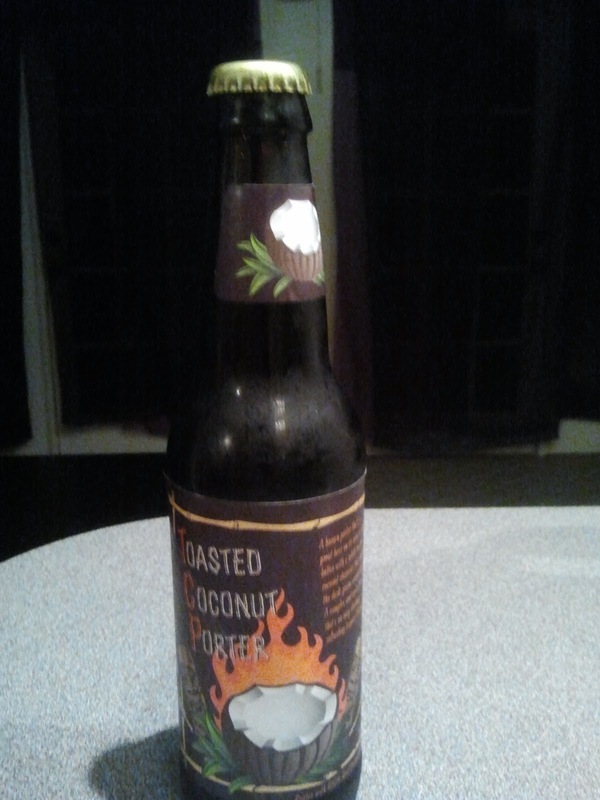 I bought a single bottle of this on a whim, but it's quite possible I'll be buying this in six-packs from here on out. This porter is highly drinkable and still complex enough to entertain many beer geeks. I recommend trying this one against a more highly priced craft beer competitor, you may find a more affordable and delicious beer with this one. I shared mine around a fire at a friend's house and everybody who sampled it found it to be thoroughly enjoyable. I highly recommend it.